My eldest loves challenging his mind with puzzles and thinking outside the square while my youngest is more hands on – happily these blocks are perfect for both! Block masterminds Aroundsquare buck the tradition of classic coloured blocks with these gloriously puzzling and easy on the eye Goodwood Deconstruction blocks. Now a warning. 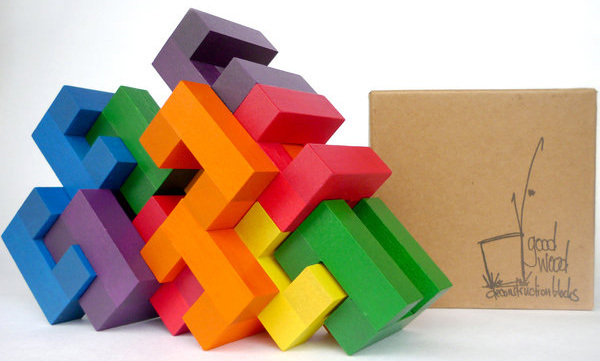 These blocks arrive all sweet and perky in their cute box but once spilled out, it takes some serious thinking to get them back within their cardboard walls. But that’s part of the fun, right? Made from eco-friendly rubberwood and painted in six glorious colours using water-based acrylic paint, there are five different shaped sets to collect and we’re assured they all play nicely together for open-ended building and experimenting purposes. Aroundsquare go out of their way to stretch young (and old) minds and promote puzzle solving skills – whether it be for building or simply fitting them back together into their original packaging – by cheekily leaving out instructions! 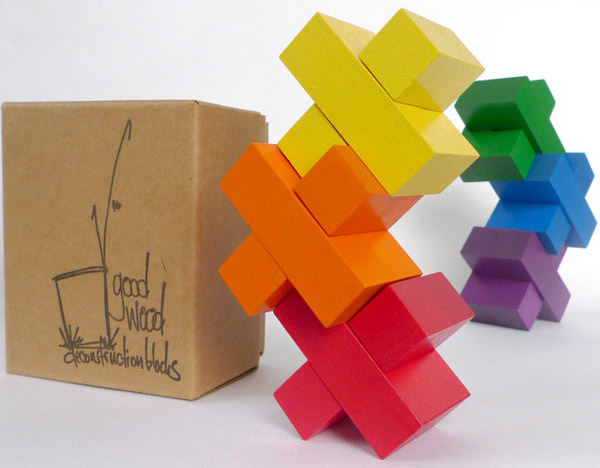 For your very own set of Goodwood Deconstruction blocks priced from US$24.99, head on over to Moolka. International shipping to Australia is available and calculated during checkout.